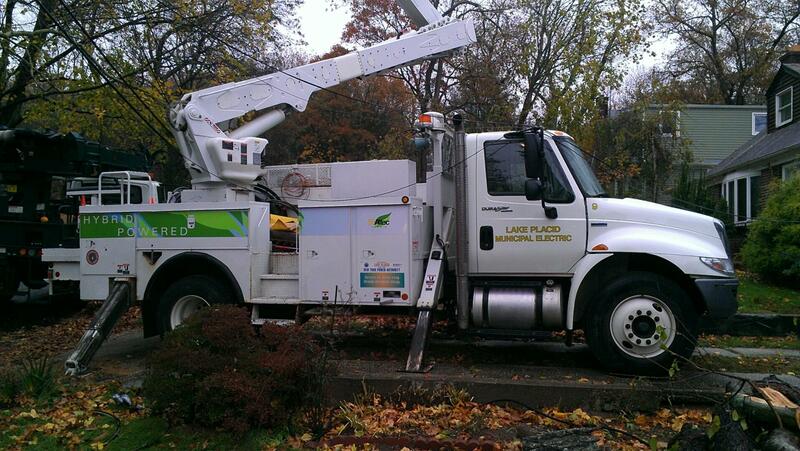 This Ford Escape and utility co. bucket truck (pictured below) are two examples of electric-drive vehicles available to municipal and rural electric cooperative systems in New York State under the New York Power Authority’s (NYPA) Municipal Electric Drive Program. 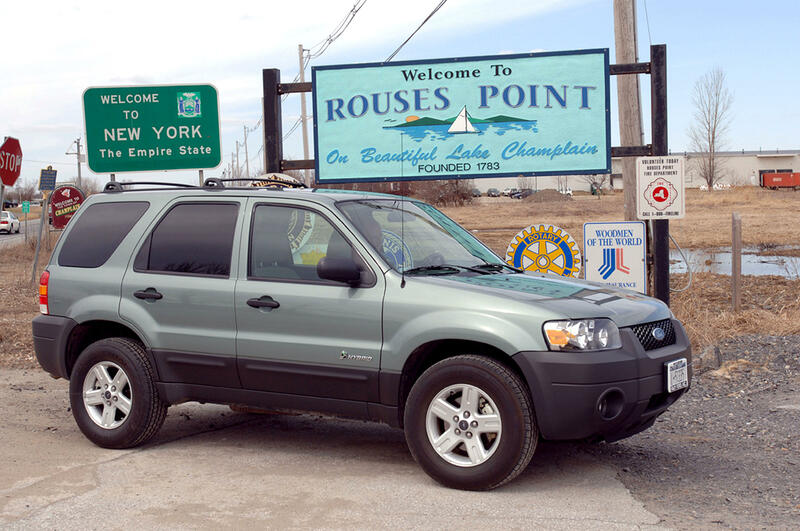 In December, the New York Power Authority approved $2 million in funding to help municipal and rural electric cooperative systems in New York State purchase electric-drive vehicles for use in their municipal fleets. 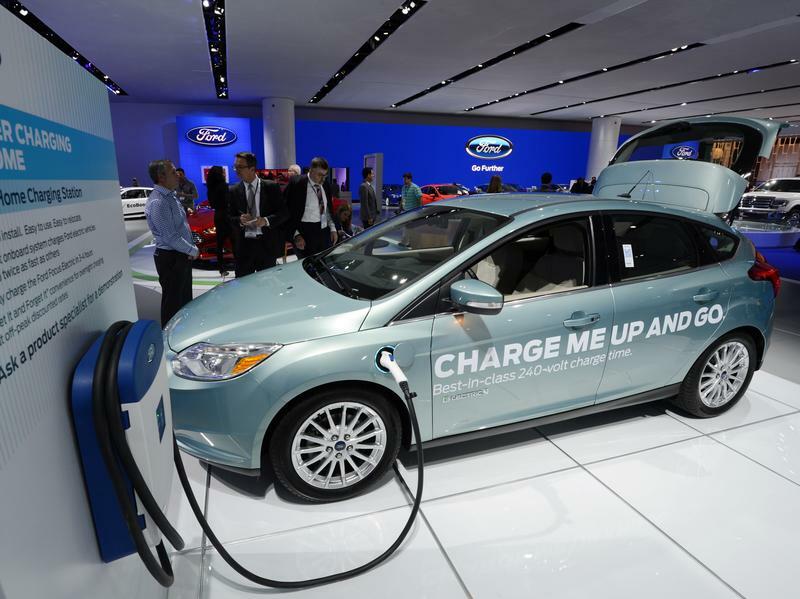 But the future for electric cars in New York state is unclear. Electric cars were popular during the late 19th and early 20th centuries, and came back in vogue during the late 1990s, finding a spot in the marketplace as gasoline/electric hybrids. In the last year, fully-electric cars finally made a comeback in vehicles commercially produced by Nissan and Tesla. During his 2013 State of the State address, Governor Andrew Cuomo laid out his ChargeNY plan to invest $50 million over five years in electric vehicle infrastructure to reduce air pollution, lower the cost of government and reduce dependence on imported oil. Around the same time, Windham Mountain partnered with NYSERDA to become a ChargePoint electric vehicle charging station for its guests and staff. There are currently 6,000 electric vehicles registered in New York State. In December, NYPA trustees approved financing that will be offered as part of the Power Authority’s Municipal Electric-Drive Vehicle Program, which provides financial assistance to New York municipal utilities to facilitate the replacement of less fuel-efficient vehicles in order to advance Cuomo’s clean energy goals. NYPA spokesman Micheal Saltzman explains the Authority supplies hydropower to community-owned electric systems including the Green Island Power Authority. "This 2-million dollars in funding will make it possible for these systems who are interested in acquiring additional electric-drive vehicles to finance the cost of these vehicles. Essentially they could be passenger electric-drive vehicles, plug-in vehicles, utility work vehicles, off-the-road vehicles, depending on the municipal electric system's needs." By 2018, ChargeNY aims to create a statewide network of 3,000 public and workplace charging stations and put 40,000 plug-in vehicles on the road. Saltzman notes electric drive vehicles of various kinds have already racked up more than 11 million miles in New York. A ChargeNY station has been installed near the entrance to the Niagara Falls State park, which draws 8 million visitors a year. Don Glynn has reported extensively for the Niagara Gazette on electric cars in the Niagara area. "What better place to assess the value of electric cars, if in fact they're out there. Unfortunately, at this point, no one, including park officials seem to have any firms numbers to report as to the number of motorists taking advantage of this battery station." Observers think the shift away from gasoline-only cars is less likely in Northern Latitudes, where winter weather takes its toll on batteries and fuel cells. Charging an electric vehicle depends on an outlet's volts and amps, and the time to fully replenish a low or "dead" battery can range from five to 50 hours or more. PlugInsights, a California research firm exclusively focusing on plug-in electric vehicles, received more than 100 responses this month to its short survey of EV owners in U.S. regions hardest hit by freezing weather. Reduced range pushed some electric car owners to leave their EVs in the garage, and drive gas cars when available. Gas powered vehicles aren't affected by storm-related power outages, which can leave EV's stranded. Again, Don Glynn: "What I find mind-bogging is that the state energy authority forecasts that electric vehicle use would reach upwards of 40,000 by 2018 and perhaps to a million by 2025. It'll be interesting to see where this goes but right now I gotta believe that weather will still be a big deterrent." Many electric car owners spoke about one key cold-weather benefit of many electric cars: the ability to remotely preheat the car’s cabin, either by a timer or through a smart phone app. Meantime, electric carmaker Tesla Motors has vowed to complete a network of fast-charging stations to allow cross-country travel by electric car. Related: Upstate drivers slow to plug into electric vehicles. In today’s Academic Minute, Dr. Sanya Carley of Indiana University explains attitudes about electric cars that are keeping many of the vehicles off of the streets. Sanya Carley is an assistant professor of public and environmental affairs at Indiana University where her teaching and research interests include energy policy, electricity technology innovation policy, and applied econometrics. She earned her Ph.D. at the University of North Carolina at Chapel Hill. "Electricity is the most likely out of all of the alternative fuels ... to be the next fuel for the consumer." That's what Jonathan Strickland of the website HowStuffWorks tells NPR's Jacki Lyden. But electric vehicles are not without their controversies or challenges. One of the biggest questions is how a transition from gasoline to electric fuel can actually take place. 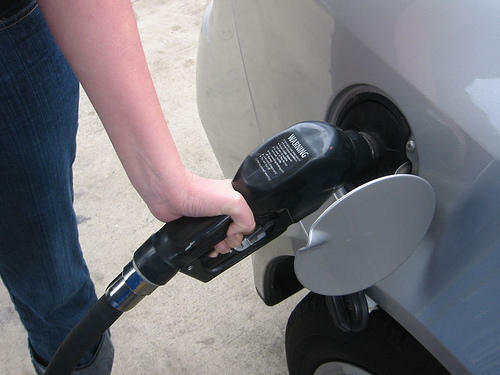 WASHINGTON – Congresswoman Nita Lowey (D, NY16) wants to know why gasoline pump prices, which appeared to have stabilized and even dropped slightly earlier this summer, have risen again. Lowey notes that oil company profits continue to climb at a time when people holding minimum wage jobs cannot afford to drive to work. The House member said part of a solution is to require higher gas mileage on automobiles. Clean & Green: Electric Power Rules! Electric technology has come full circle in two different ways affecting two upstate communities. A power generation station in Columbia County that dates back to the 19th century has been restored to service. The Stuyvesant Hydro Electric Station came back online in December providing power to National Grid, albeit on a temporary basis. The facility is nearly completely rehabilitated. One of the long-standing knocks against electric cars is that it can be hard for the machines to hold a charge in cold weather. That's exactly what New York Times reporter John Broder says he found when he took a Tesla Model S on a road trip from Washington, D.C., to Connecticut. On Monday, in the western Massachusetts town of Greenfield, state Secretary of Energy and Environmental Affairs Rick Sullivan announced a new statewide grant program that will assist communities in investing in electric vehicles and infrastructure. WAMC's Berkshire Bureau Chief Lucas Willard spoke with Secretary Sullivan about the new strategy to reduce the state's reliance on fossil fuels. Secretary Sullivan and other state officials will also join residents in the town of Chelmsford to mark the launch of the program. Albany, NY – Albany Mayor Jerry Jennings today announced a partnership with NYSERDA and the New York State Department of Transportation to prepare the city for electric vehicles. Capital District Bureau Chief Dave Lucas reports.